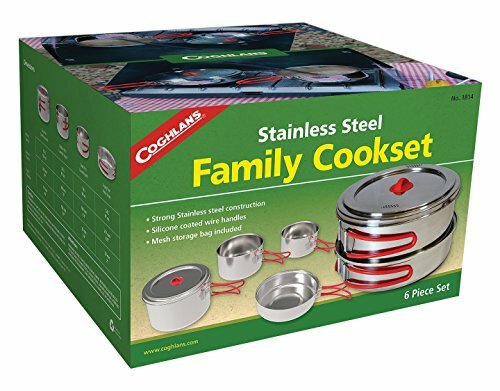 This cook set is made from stainless steel including the swing-out handles which feature Silicone covers to keep them cool to the touch. The set includes 3 pots and a frying n it also includes a unique lid that fits all 4 pieces, has drain holes incorporated into it, and has a stay-cool Silicone knob. It all nests together and comes with a mesh bag for convenient storage.